Designed to handle the most common transfer situations with ease, the Invacare® I-Lift™ Series with a 450 lb. capacity will accommodate patient transfers from a bed, a stretcher, a wheelchair, a commode and even from the floor. 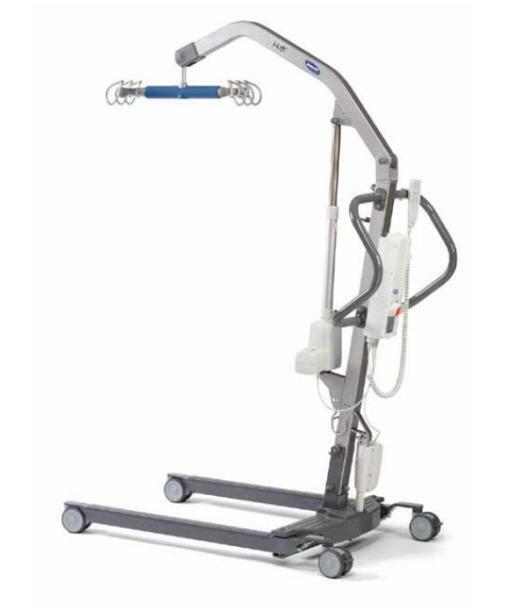 With increased maneuverability, intuitive ease of use and enhanced safety features, the I-Lift Series lifts deliver advanced features that help protect and assist caregivers in providing safe and effective healthcare to their patients. Resident and Caregiver safety is in the details. I-Lift Series Lifts were designed with innovative features to meet or exceed existing international hoist standards (ISOEN10535).